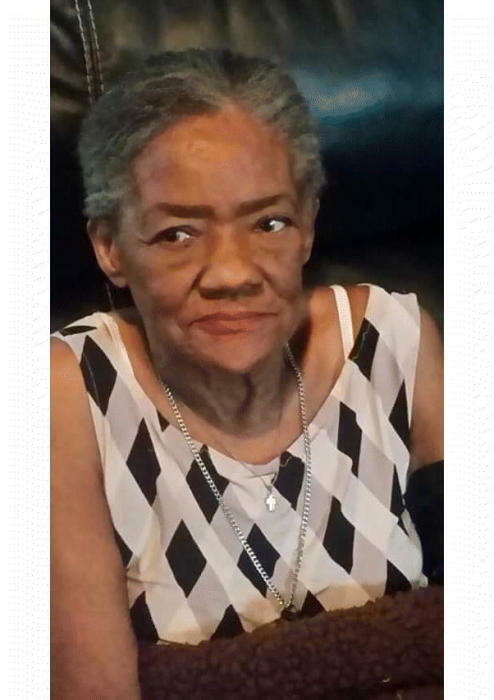 Dorothy Jean (Jackson) Wickliffe, 74, of Dubail Street, South Bend, IN., passed away Friday, November 9, 2018 at her residence. Dorothy was born Nov. 27, 1943 in Mound Bayou, MS., to Emell and Oletha Taylor who both preceded her in death along with three sisters; Lillian Hunter, Nicole Taylor & Patricia Taylor. Dorothy married William Wickliffe in 1964 and her passions were gardening, solving puzzles and her daily walk to St. Vincent. Survivors left to cherish her memory include her husband; William Wickliffe, three daughters; Susie, Yolanda and Diana Wickliffe three sons; William (Danielle) Wickliffe, Jr., Sean Wickliffe and Byron (Danielle) Wickliffe, 23 grandchildren, 11 great-grandchildren, five sisters; Susie Armstrong, Rosie Lee (Henry) Thomas and Veronica Taylor all of South Bend, IN., Ruth Adams and Shirley Lattimore, three brothers; Emell Taylor, Jr., all of Cincinnati, OH., Jessie and James Taylor both of South Bend, IN., along with other relatives and friends. Services will be held at Alford's Mortuary on Monday, November 12, 2018 at 1:00 p.m., with viewing from noon to 1:00 p.m., at Alford's Mortuary.